For a well known Russian Project Forwarder AML has been awarded to act as their agent in Antwerp to organise a consolidation hub for cargoes coming from worldwide origins with final destinations Sint Petersburg and Cherepovets. 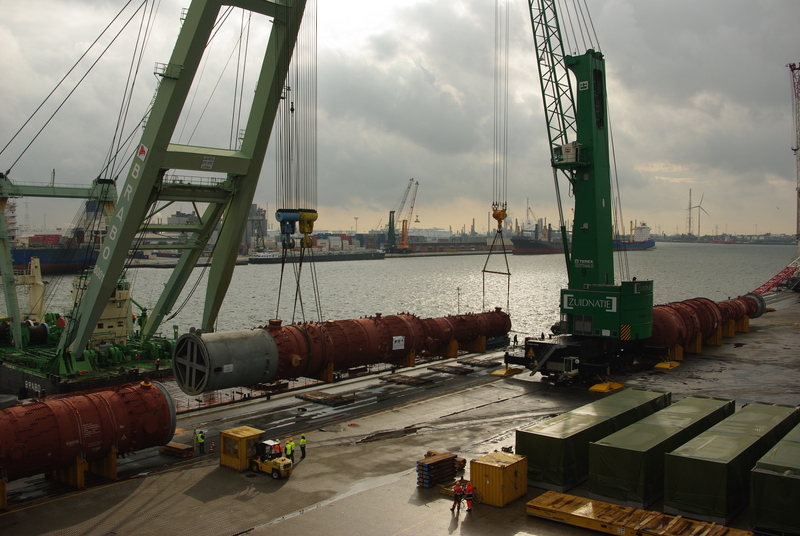 The total project consisted of about 85.000 FRT totally inbound to Antwerp and outbound again to both Russian destinations , whereof about 60 Heavy Lifts with a maximum of 611.000 KGS. 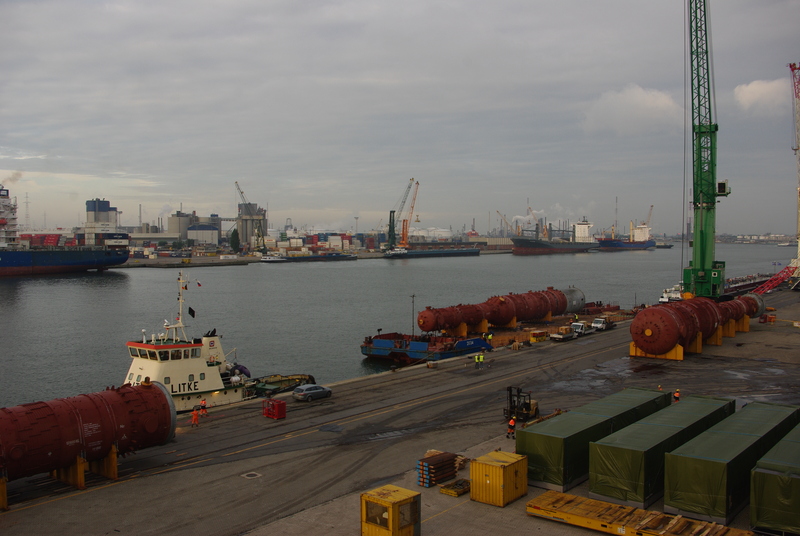 Most of the the heavy lifts came to Antwerp with geared tonnage and partially with gearless coaster vessels where they have been reloaded on gearless Russian rivervessels and pontoons afterwards. Arranging the ballasting/deballasting of the pontoons. Buying and cutting steel beams for weight spread on the pontoons and the Russian river vessels. Issuing lifting ,loading and lashing/welding plans. A couple of pictures from a couple of ODC cargoes handled by us and a small movie as well from the load outs of the heaviest items on pontoon and Russian river vessel to Cherepovets.